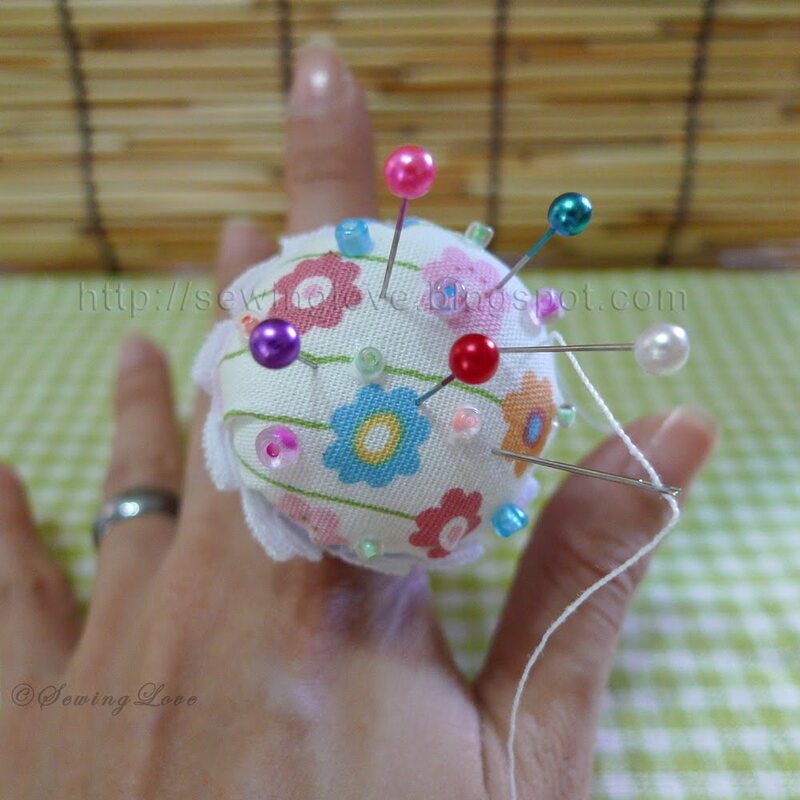 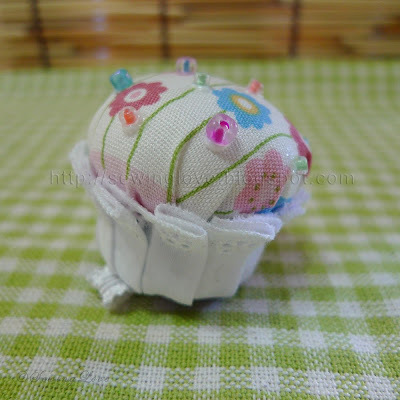 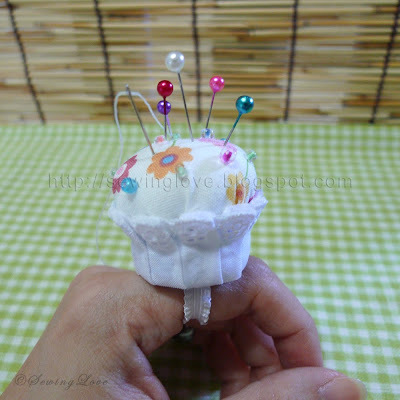 Simple pin cushion done by assembling scrap cloth, fiber stuffing and a plastic bottle cap together. I glued lace outside the bottle cap to make it look like the pleated paper cup and added some beads to resemble the hundreds and thousands. I drilled 2 holes on the bottle cap and tied a elastic band at the bottom so I can use it as a ring.